« Strategy: What Wouldn’t You Do? We buy my wife, Suellen, a new car every ten years whether she needs one or not. It’s always a red Volkswagen convertible with a manual transmission. (She’s old school). We bought the first one in 1985, another one in 1995, and the current one in 2005. She just looks cute in a red convertible. What struck me about these three cars was how power was deployed. The 1985 model had roll-up windows and a manually operated roof. The ’95 had power windows and a manual roof. The ’05 has both power windows and a power roof. The 2005 model is clearly more energy efficient than the ’85 model but does it use less energy? I didn’t know it at the time but I had struck on something called Jevons paradox (also known as the rebound effect). 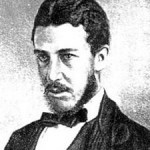 Named after William Stanley Jevons (pictured), a British economist in the mid-19th century, the paradox states that increasing energy efficiency leads to greater energy use. It’s basically a cost curve. Increased energy efficiency means each unit of energy costs less. As costs decline, we buy more energy — just as we do with most commodities. The result: instead of raising and lowering the convertible’s roof with arm power, we put in a little motor to do it for us. According to Jevons, the net effect is that we use more energy rather than less. I’ll admit that I’m a tree hugger and that I’m concerned about global warming. I also study the processes of innovation and I generally applaud innovations that result in greater energy efficiency. But the more I ponder Jevons paradox, I wonder if we’ve aimed our innovations at the wrong target. Shouldn’t we be creating innovations that help us use less energy rather than more? (If you want to read more about Jevons paradox, The New Yorker has a terrific article here. On the other hand, Think Progress says the paradox exists in theory but not in practice. That article is here. Interesting reading). 4 Responses to As we become more energy efficient, do we use less energy? I came across an interesting company recently called Opower (www.opower.com). They’re helping utility companies reduce power consumption, as they are increasingly mandated to do, by helping homeowners become more energy efficient. What’s interesting is that they’re not using any fancy technology, not replacing any infrastructure, nor running any daft “don’t think of a purple cow” campaigns. They’re helping utilities to use some of Robert Cialdini’s principles of persuasion to change the way consumers behave, comparing them to their peers. The power of social proof. Travis, I think your comments on energy use would have been greatly improved by pictures of Suellen in her 3 volkeswagones.